Bottled Water China’s Next Health Crisis? In April 2014, officials in Lanzhou, a city of three million people in western China’s Gansu province, advised residents not to drink the city water because of contamination. Predictably, people flocked to stores to purchase bottled water: the ostensibly pure, healthy alternative that offers safety and abundance in the face of contamination and scarcity. Few, presumably, questioned the safety of their bottled-water purchases. Yet as a recent article I co-authored suggests, there are a number of factors that could lead to a high-profile public health scare on a par with China’s melamine milk scandal. China’s water resources are under increasing strain as the country’s economic growth outpaces fresh water supplies. This growth has resulted in severe water pollution; studies suggest that currently only half of urban water supplies meet national quality standards. With domestic demand on the rise, there are questions about the ability of regulators to ensure quality. In the years ahead, China’s bottled-water market will not only need to respond to this increase in demand, but also to water scarcity. And without a firm commitment to quality control, the survival and success of the Chinese bottled-water industry is uncertain. This year, China is expected to surpass the US as the world’s largest market for bottled water. Poor tap-water quality, increasing health awareness, higher income levels, and international tourism are fuelling demand. Bottled-water sales in China grew from US$1 billion in 2000 to US$9 billion in 2012. Analysts anticipate an annual growth rate of between 6% and 16.3% between 2010 and 2015. Figures like this highlight the importance of understanding China’s bottled-water market landscape and the market forces that both drive its growth and threaten its collapse. China’s bottled-water market is highly fragmented and localised. The country has over 1,500 local brands, with only three sold nationally. Bottling companies are emerging to satisfy growing demand. In the past two years, approximately 220 new bottled-water companies emerged out of Inner Mongolia alone – a region known for poor water quality. Yet it is questionable whether these bottlers are capable of delivering clean and safe water. In 2011, one brand from the region was implicated in a contamination scandal because of the company’s allegedly antiquated manufacturing processes. To prevent these scandals, China must address threats to bottled-water quality, which stem primarily from a lack of transparency, weak regulatory controls and artificially low prices. The amount of information surrounding China’s bottled-water industry is sparse. Although the bottler’s reputation is tied to the quality of its product –which makes bottled water presumably safer than Chinese tap water – the industry’s lack of transparency challenges this conventional wisdom. Chinese bottlers are not required to list the water source or filtration method and often do not disclose this information to the public. Granted, the global bottled-water industry is notorious for its lack of transparency; but for countries with severe water pollution and infamously weak legal and regulatory enforcement, it is especially important for bottlers to be forthcoming about the water’s source and purification method. The second threat to the industry is the country’s weak regulatory regime. Chinese bottlers are not required to test for a number of indicators, such as acidity, or for compounds like mercury and silver. And in a country where 70% of fresh water resources are polluted to some degree, stringent filtration criteria are indispensable. Compromised water quality is not the only public health risk, as a number of scandals have emerged involving brand falsification. According to an employee in the bottled-water business, nearly 60% of the bottled water jugs (or barrelled water) on the Chinese market are falsely branded, and many illegal water factories bottle tap water and sell it under the guise of popular brand names. Officials also rarely verify the serial numbers on water products: just three out of 10,000 serial numbers are authenticated. These realities create a breeding ground for counterfeit bottling and product contamination. China’s recent contamination and counterfeit scandals have escalated bottled-water safety concerns. In 2009, a survey conducted by China’s regulatory authorities on single-use 500ml bottled-water samples found elevated levels of bromate – a suspected carcinogen. 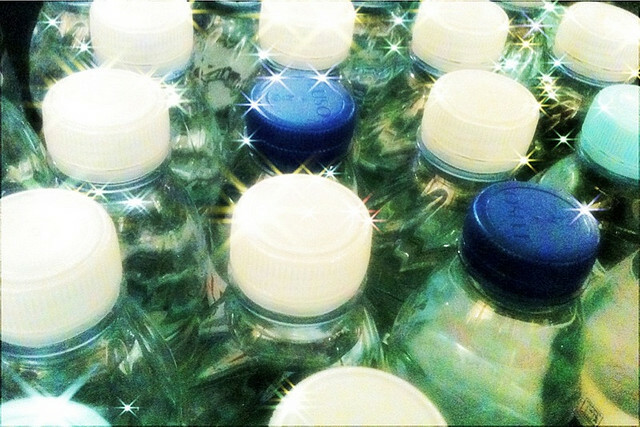 In July 2011, several bottled-water companies failed random market inspections, implicating over 30 brands. One of these brands purportedly contained bacteria 9,000 times the permitted level. In April 2013, a high-profile bottled-water scandal involving Nongfu Spring highlighted the confusion underpinning China’s regulatory system and the legal ambiguities that cast a shadow over much of China’s bottled-water law. Despite these public health scares, the industry continues to rely heavily on self-monitoring. While this approach might work in some countries, it is arguably riskier for a nation like China, where there is little government oversight of industry, constraints on civil society and media freedoms, and (perhaps as a result of the latter two realities) severe water pollution. It is hard to gauge compliance with little information on company standards and confusion surrounding national and provincial regulations. Bottlers are also rarely forthcoming with details on their internal standards, even though withholding this information violates Article 26 of China’s Food Safety Law. The third and final threat to the industry’s survival is pricing. Ultimately, the price of bottled water must reflect filtration costs and the social and environmental costs of production, while also remaining affordable to the general public. Domestic brands sell for as little as 1 yuan (US$0.15). Given the expense of advanced filtration technologies and the environmental externalities associated with bottled-water consumption (such as increased waste), either government subsidies are helping lower costs or Chinese bottled water is more polluted than its image and appearance project. But the price of bottled water may soon rise. Domestic bottled-water prices recently rose 5–10 %, and this trend will likely continue as quality standards improve and water scarcity intensifies. These higher water prices could turn bottled water into a “luxury” commodity, which wouldn’t necessarily be a bad thing – as long as the government provided bottled water as a free service in cases where drinking water was either unavailable or contaminated. In the end, Chinese reliance on bottled water is a symptom of a larger and more serious disease: China’s extremely polluted water resources. China is home to some of the most polluted freshwater resources in the world, and its municipal water systems are in desperate need of repair and modernization. As demographic, environmental, and social trends continue to strain water availability, China must address these threats to water quality, or risk compromising the safety, security, and widespread availability of clean drinking water – including bottled water – in China.